Even after being decommissioned from service by the Soviet Army decades ago, the Mosin Nagant M91/30 is still a very popular hunting and sporting rifle ‘round the globe. From firearm enthusiasts to old-school shooters, a lot of people use them even today. This calls for a need of good ammo for the Mosin Nagant. Here we’ll be talking about what ammo the M91/30 uses and points you must consider before choosing appropriate ammunition for your rifle. We have also outlined and reviewed the best Mosin Nagant ammunition available on the market, to help you reach a decision. What Type of Bullets Does the Mosin Nagant Shoot? The Mosin Nagant M91/30 shoots 7.62x54R bullets. Some of the earliest Finnish models did shoot a slightly different round that was comparable to a .308, but these models are rare. Later Finnish models used 7.62x53R but it’s considered interchangeable with the 54R. In the US, this translates simply to a .311 round. Simply, 7.62x54R M91/30 can shoot .310, .311 and .312 calibers. These numbers help when you are handloading your ammunition or are trying to buy the cheapest ammunition for your Mosin Nagant. Handloading ammunition is also a very inexpensive option when it comes to shooting an M91/30 rifle. Apart from that, the cheapest and easiest type of ammunition to procure for a Mosin Nagant is military surplus. There’s a lot of milsurp ammo available on the market for M91/30’s. 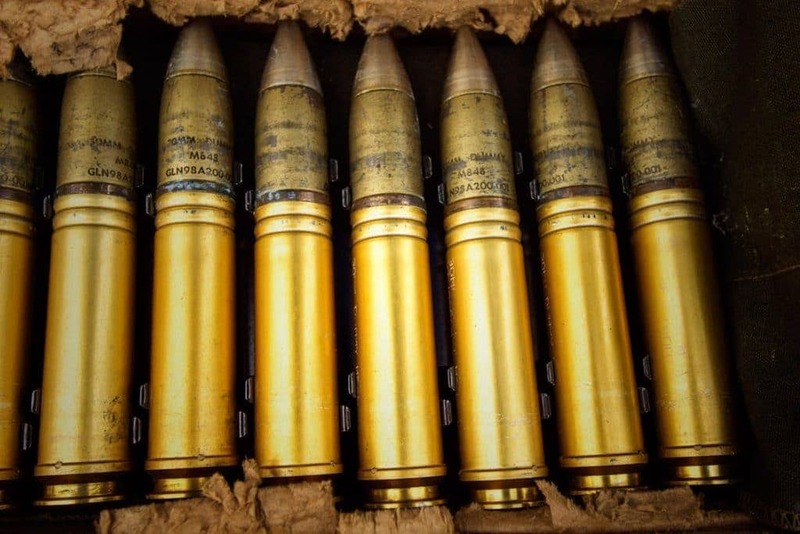 From stored and leftover ammunition to spam boxes, you can find boxes of milsurp ammo for as low as 0.25 per round. A lot of people like to use military surplus ammunition because of its cheap price and frequently easy availability. Using these rounds won’t really matter especially if you are just plinking. Every coin has two sides, and so does the milsurp ammunition. Although it is often readily available and miraculously cheap, it also has some drawbacks. First of all, milsurp ammo is very ‘dirty’. It uses mercury-based primers which are highly corrosive and result in a lot of fouling for your barrel. This means that you have to diligently clean your Mosin Nagant after every shooting session. If you really love your Mosin Nagant (especially if it is a prized possession) and are cautious about it becoming worn out, milsurp will not be your primary shooting ammo. Another very realistic concern with milsurp ammo is its accuracy. Milsurp ammo has been decommissioned by the military for a reason - it’s either no longer needed or not effective. Ammunition has its shelf life and after several years it becomes substandard. Milsurp ammo is old and hence is not as effective as new match-grade ammunition. This would discourage you from using it for competitions and precision shooting. Last but not least, milsurp ammo is generally FMJ (full metal jacket). This means that it is intended for wounding and not really killing. This somewhat limits its use for big game hunting, especially over a long distance. Knowing the pros and cons of milsurp ammo, you know it’s not always going to help except for plinking. For all other uses with your legendary Mosin Nagant rifle, you need to choose good-quality ammunition. We’ve reviewed a versatile range of the best M91/30-compatible ammo on the market to help you make your choice. 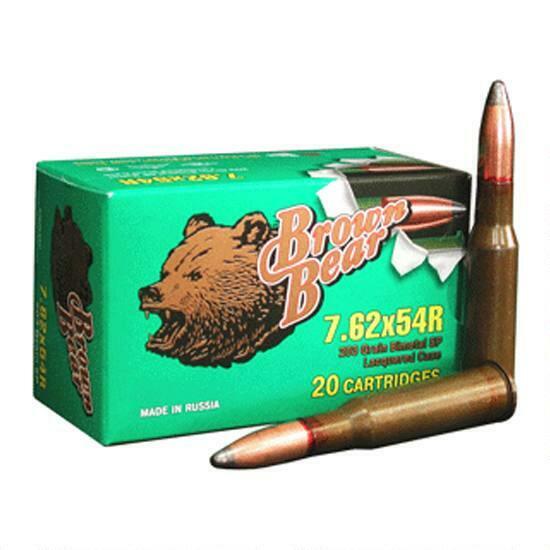 Brown Bear 7.62x54R SP 203 Grain Ammo is an excellent option for gun owners looking to maximize their effectiveness without sacrificing cost or cleanliness. It is high-powered due to it being loaded to standards normally reserved for military rounds. Boasting a muzzle velocity of 2,300 FPS and muzzle energy of 2,446 ft.-lbs, you can expect substantial power. However, not only are Brown Bear rounds affordable considering this, but you also can look forward to relative cleanliness. Of course, you will still need routine cleanings, but they will be far less messy. Additionally, Brown Bear claims to be non-corrosive, although again, we recommend you routinely keep your rifle clean to reap these benefits. If you’re looking to take down larger game, these Brown Bear rounds are an excellent bet. These 203 grain rounds are most often used in parts of the world such as Russia where large bears are customarily hunted. Despite this, you’ll enjoy a relatively moderate recoil and these rounds are compatible with a wide variety of weapons, ensuring that with proper precautions you can enjoy a variety of setups. This is the perfect option for those who want to try out this powerful ammo on something in addition to the Mosin Nagant, like an M44! Lastly, at 203 grain, you might expect a drastic reduction in accuracy, but for the most part, Brown Bear’s 203 rounds handle well in a Mosin Nagant. If you want to take down large game with the least extra effort, Brown Bear’s 203 grain rounds are the way to go. ​With great power and relative cleanliness, the Brown Bear 7.62x54R SP 203 Grain Ammo is an excellent choice for tackling the largest game around. If you’re not familiar with Prvi Partizan, they are the top Serbian manufacturer of munitions and their products are consistently high-quality for the price point. We’re happy to say that their 182 grain rounds live up to their standards. 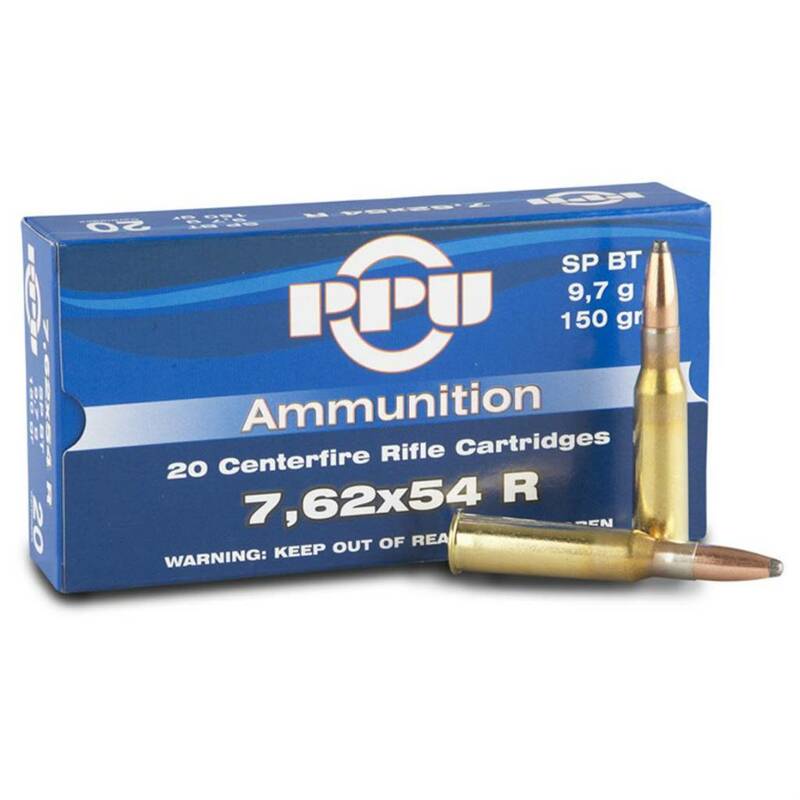 Above all, we really appreciate the excellent value you get when you purchase a case of PPU, 7.62x54R, FMJ-BT, 182 grain, 20 rounds. 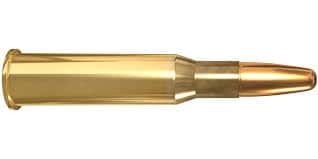 These FMJBT-style rounds offer a muzzle velocity of 2,625 FPS as well as muzzle energy of 2,784 ft-lbs, with their rounds encased in brass. They are of a boxer, reloadable primer type. While they are not quite as clean as the others on our list, they are still less messy than many other rounds on the market. The manufacturer claims they’re non-corrosive, but as they are a bit messier, you’ll want to clean regularly. However, you get 182 grain rounds, 20 to a box, for an amazing price. While it’s not as powerful as some rounds exceeding 200 grain and the box these rounds come in doesn’t do a great job of protecting the rounds (you’ll want to store them in something more weather-proof), there’s no denying that you’re getting incredible power. If you’re hunting larger game, you will definitely appreciate the value here. They’re powerful enough to take down anything but affordable enough to not worry about wasting your ammunition. While they’re not the most premium or powerful thing on the market, they definitely make having serious power affordable. ​If you’re looking for raw power but don’t want to spend a lot of money, Prvi Partizan offers an excellent value. While not as premium as other rounds on our list, they definitely give you a lot to work with for the price. 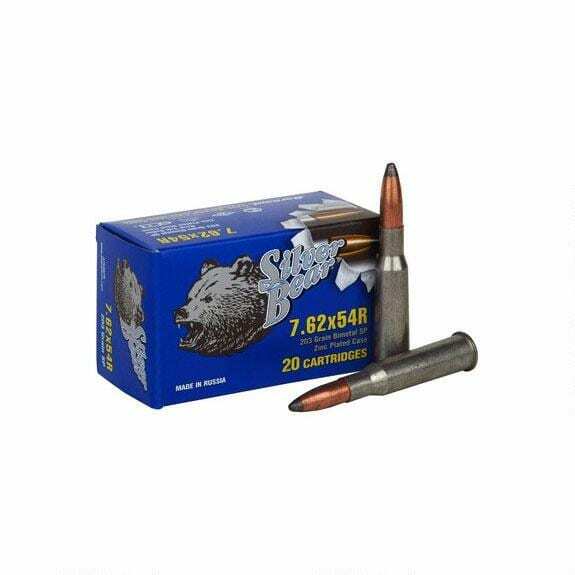 Silver Bear is a little pricier than Brown Bear rounds, but the price is definitely worth it. The reason they are called “Silver Bear” is that they are zinc-plated steel cases, which appear silver. These tough rounds are non-corrosive and Berdan-primed. They are substantially cleaner than Brown Bear, although again, we always recommend you clean your rifle regularly. As with Brown Bear, you get a 203 grain, which is plenty to take down the absolute largest games, such as the largest bears, living up to their illustrious name. Overall, they are a great compromise if you’re torn between the more expensive brass-encased reloadable rounds out there and something like Brown Bear. Compared to the polymer-coated Brown Bear, the Berdan priming makes for a well-rounded, clean shot. While true of Brown Bear, it’s much more true of Silver Bear that you’ll go a very, very long time without jams or misfires. For a 203 grain round, that’s not something we can say for anything short of the best. As for the price, while it’s a tad more than Brown Bear, we do think that the difference is worth it. It’s not a substantial monetary difference, and you will be able to get markedly improved performance. If results are all that matter, Brown Bear is sufficient. But if you want results and the smoothest performance, go with Silver Bear. We’d say that even if you aren’t prone to going with Silver Bear, it’s worth securing some just for that special hunt. ​If you want a seriously powerful round that offers clean firing, exceptionally unlikely jams and misfires, and a close compromise on the more expensive rounds out there, Silver Bear is a solid value. 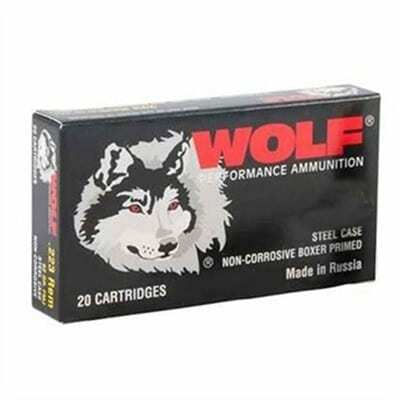 Wolf’s ammo is Russian-made, high-quality, and will suit a wide range of applications. With full metal jacket style and 148 bullet grain weight, it boasts a muzzle velocity of 2,840 FPS and muzzle energy of 2,651 ft-lbs. It comes in a quality steel case to help resist damage. When you choose Wolf, you’ll enjoy reliable feeding. Wolf rounds are also quite clean and you can likely go several days without cleaning your rifle, although we do suggest that you clean as often as you can. Wolf also claims their rounds are non-corrosive, and many users agree. Along these lines, some users have noted that their rounds sometimes discharge with something of a foul smell. This has been a rare, however, consistent claim, and although it doesn’t seem to affect performance or quality, it may be something to watch out for. One thing that’s enjoyable about these rounds is they have a very strong kick. We do recommend that you prepare for this, as it can be as strong, even more powerful than Brown Bear’s 203 grain rounds. When you add in the great price for a healthy 500 rounds, it’s hard to go wrong. It’s definitely the sort of ammo you’ll want to stock up on, and with its substantial power, 148 grain bullets, and low price you won’t have to be stingy with it. If you want a high-quality round that’s affordable and powerful, but also versatile enough that you can comfortably use it anywhere, the Wolf 148 grain bullets are a great choice. Often, high-quality rounds, especially of this grain, are cost-prohibitive for uses like sport, but this round is a great compromise. ​Great for a variety of uses, Wolf’s 148 grain rounds are a powerful and affordable addition to your arsenal. Enjoy them when hunting or in a competition! 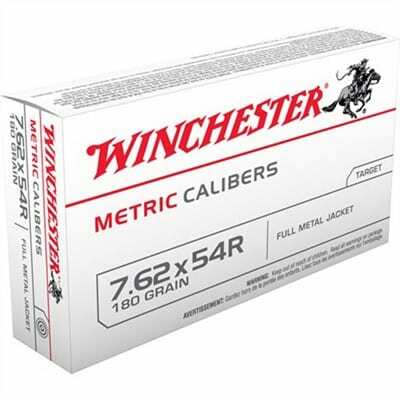 Manufactured by renowned manufacturer Winchester, this 7.62x54R ammo is a 180-grain soft-point bullet. This makes this round precisely accurate and perfect for hunting. It features a weight-rearward design and is intended to fragment upon impact, causing a great deal of damage to the game. Additionally, the 180gr bullet is heavy enough to pack that extra punch. The ammo is clean and you can shoot it for days without really needing to clean the rifle. This also helps prevent any corrosive damage to the rifle. 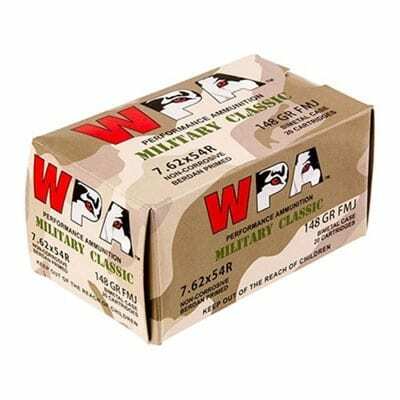 The ammo comes in a standard white box packing. The case is quite resistant to cracks and you might find some good ones for handloading. These bullets are Russian-made 148 grains steel-cased rounds for high-volume target shooters. This is an FMJ round from wolf Military and features a polymer coating over the base rim for proper cycling. The FMJ design makes it good for self-defense and target practice. The rounds are not milsurp so you won’t face any real issues with accuracy. Fouling may be a problem, but the low price overrides this con. 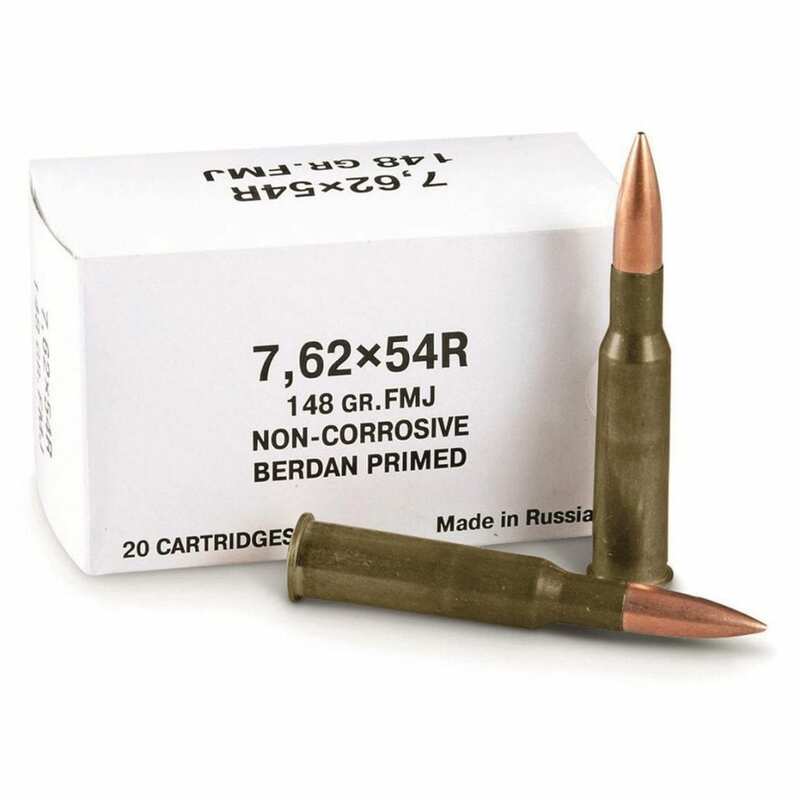 The round uses non-corrosive powder but is berdan-primed which prevents handloading. The Wolf Polyformance 7.62x54R is a mil-spec 174 grain steel-cased round manufactured in Russia. The lower rim features a polymer coating to ensure proper extraction and feeding of the bullet in the M91/30. The bullet uses non-corrosive powder and berdan primer. This FMJ ammo is reasonably priced and will be the first choice for high volume shooters. These are good quality rounds with decent accuracy. Perfect for target practice and plinking. This bullet is similar to the one mentioned on the top of the list. The only difference is that these are FMJ (Full Metal Jacket) rounds. This makes them perfect for target shooting and self-defense. This 189 gr FMJ ammo uses non-corrosive powder and results in negligible fouling. This makes it way better than milsurp ammunition. The 180 gr round can travel at subsonic speeds and offers better resistance to wind deflection. Perfect for shooting your M91/30 on a breezy day. But on the contrary, it is ‘dirty’, somewhat inaccurate and non-reloadable, leaving it good enough only for plinking. Newly-manufactured ammunition, on the other hand, is good with accuracy and quality and is quite versatile.